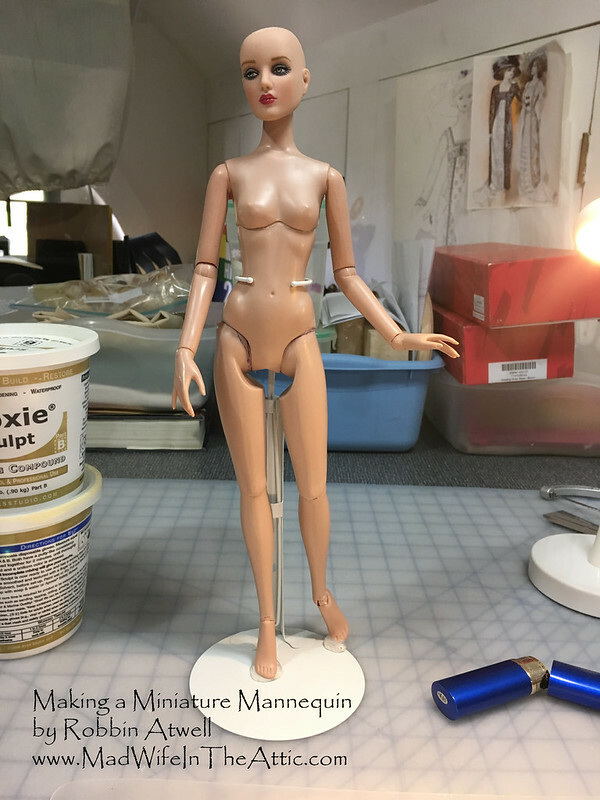 I found wonderful pictures on Pinterest of miniature mannequins that have survived in collections for decades after retiring from their retail careers. These beautiful miniature mannequins are still being used in Bergdorf Goodman’s stunning window displays—sharing their mystery and glamour with modern shoppers. 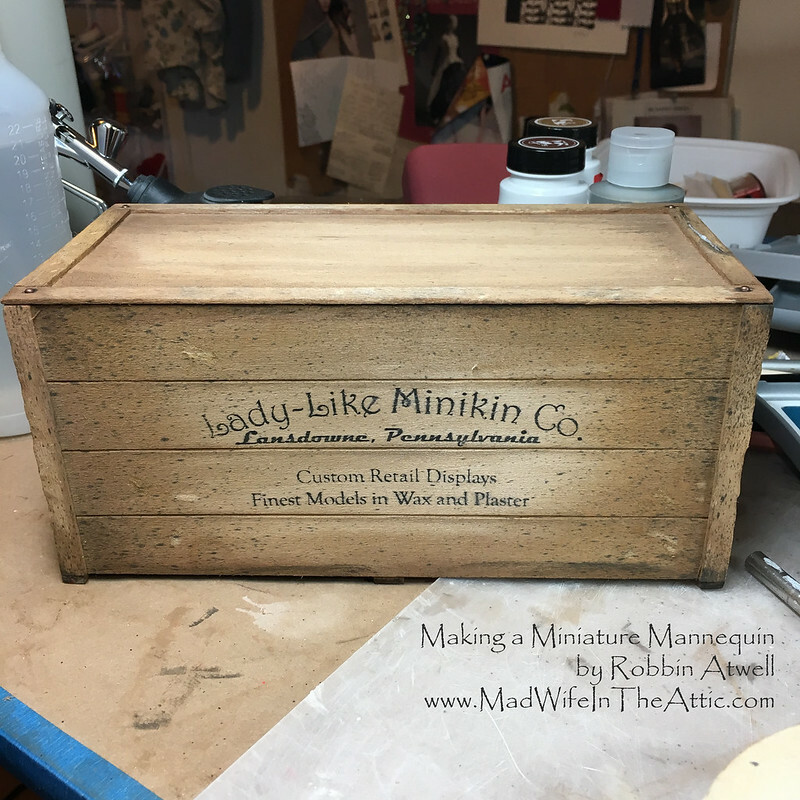 I learned more about these mini-marvels in a book by Steven Heller and Louise Fili, with photographs by Tony Cenicola called, Counter Culture; The Allure of Mini-Mannequins. It’s full of pictures and has a well-researched historical overview. Like the small scale figures, it’s a small sized volume. You can find a used copy reasonably priced. “Ubiquitous from the 1920s to the 1960s, these retail-store advertising props are today precious commercial artifacts… In clothing stores, mini-mannequins were used as armatures for dresses, suits, and intimate apparel; in drug stores they showcased trusses and bandages; and in hardware stores they promoted various consumable wares. Miniaturization provided them with a curious capacity to catch the consumer’s eye as he or she randomly browsed the counters and cases.” –Heller & Fili from Counter Culture. I remember them in the sewing department (usually in the basement of our department stores) where they featured the latest sewing patterns, wearing fashions meticulously made in half or one-third scale. They were in the lingerie department where a full-sized mannequin wearing delicate unmentionables would have been a bit too saucy for modest shoppers. 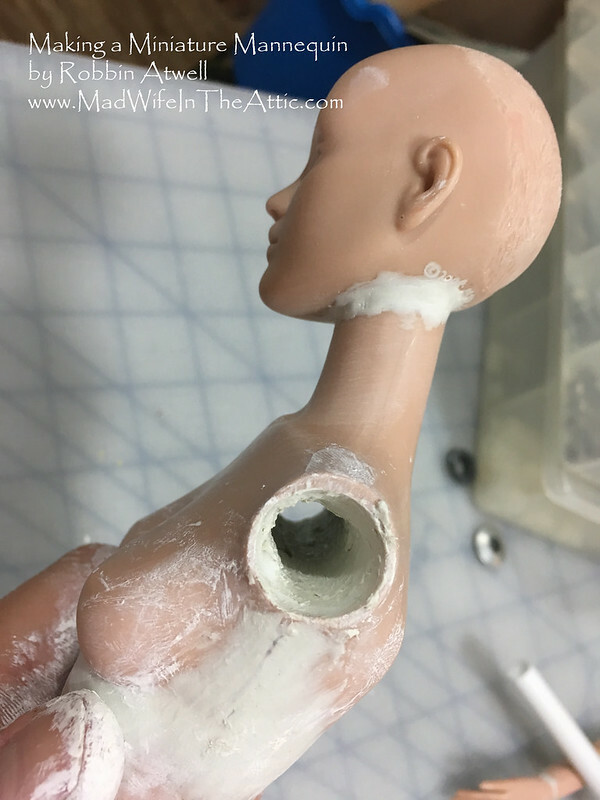 I remember the sweet kits for young girls that included a doll sized mannequin with patterns and fabric to hone the sewing skills of the future designer. 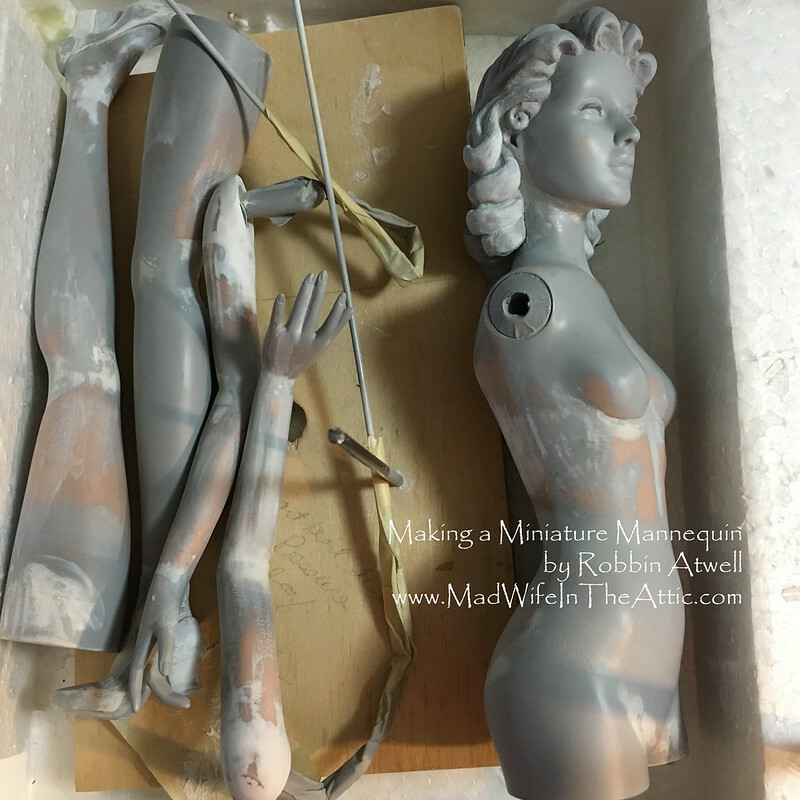 I wanted to find a fabulous vintage miniature mannequin. They show up periodically on eBay and on Ruby Lane Antiques but since they weren’t meant to last forever, they’re often pretty battered and delicate. So, I decided to make my own. 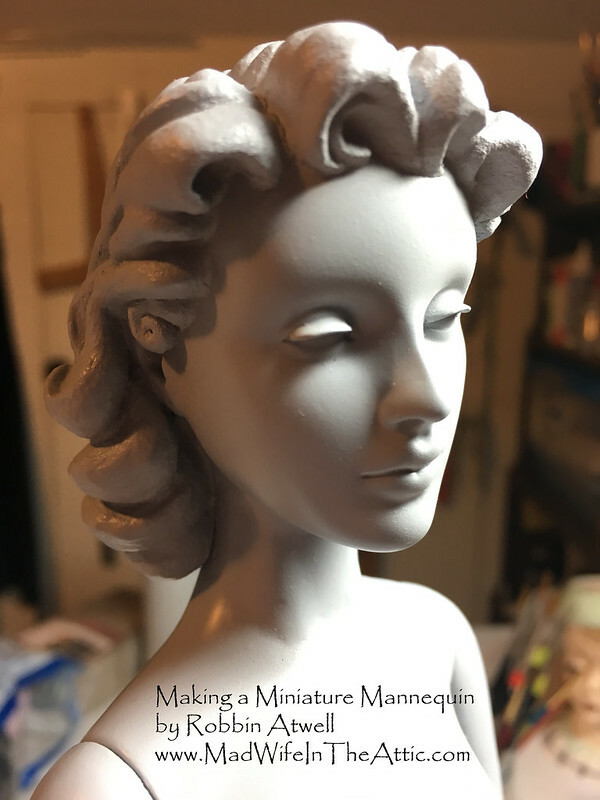 I found this beautiful mini-mannequin on Pinterest and fell in love with her. 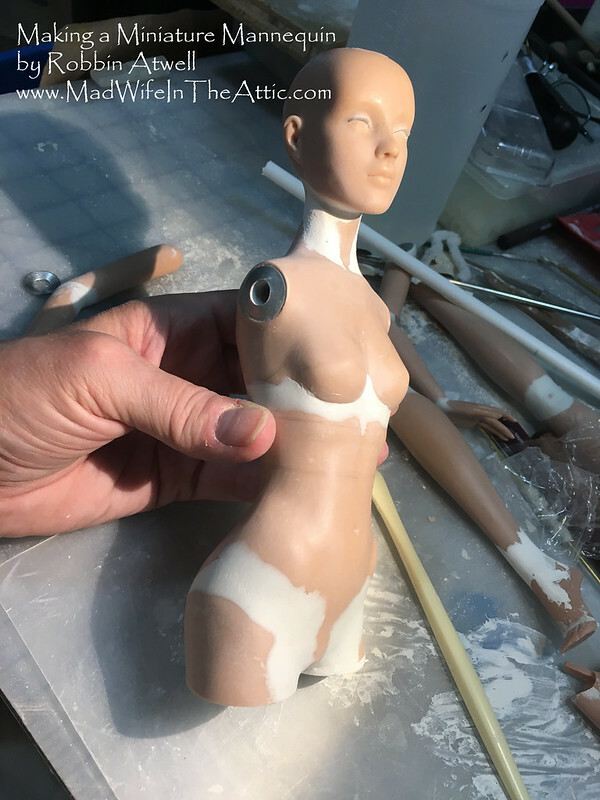 I think she was sold on eBay but I don’t know much else about her. I think she’s ½ scale. 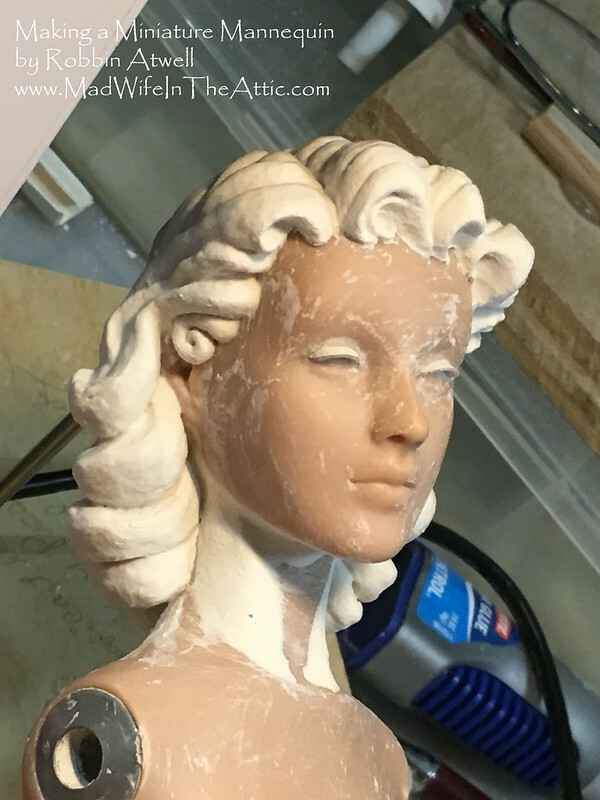 She appears to be made of plaster and she’s advertising FormFit lingerie. She will be my mini-muse. 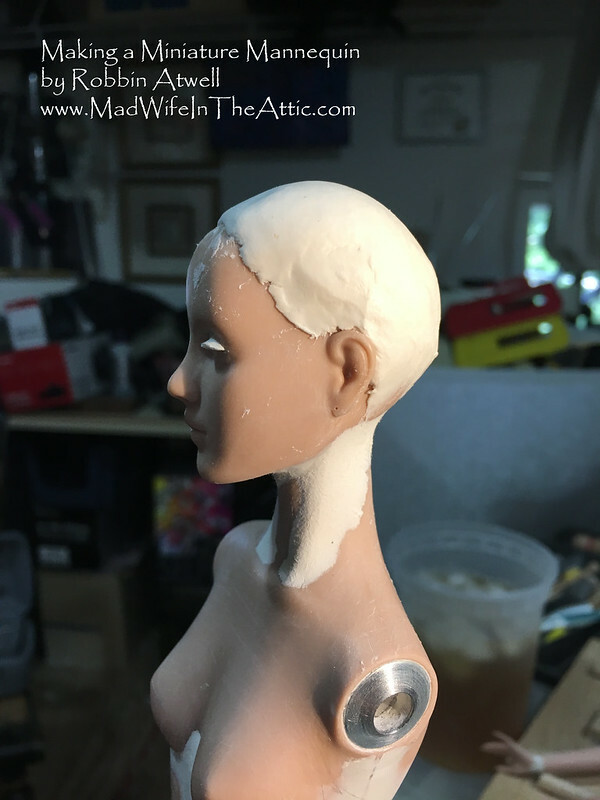 I decided to use a vinyl fashion doll as my armature. She’ll look good with my fashion dolls since she’s the same scale. 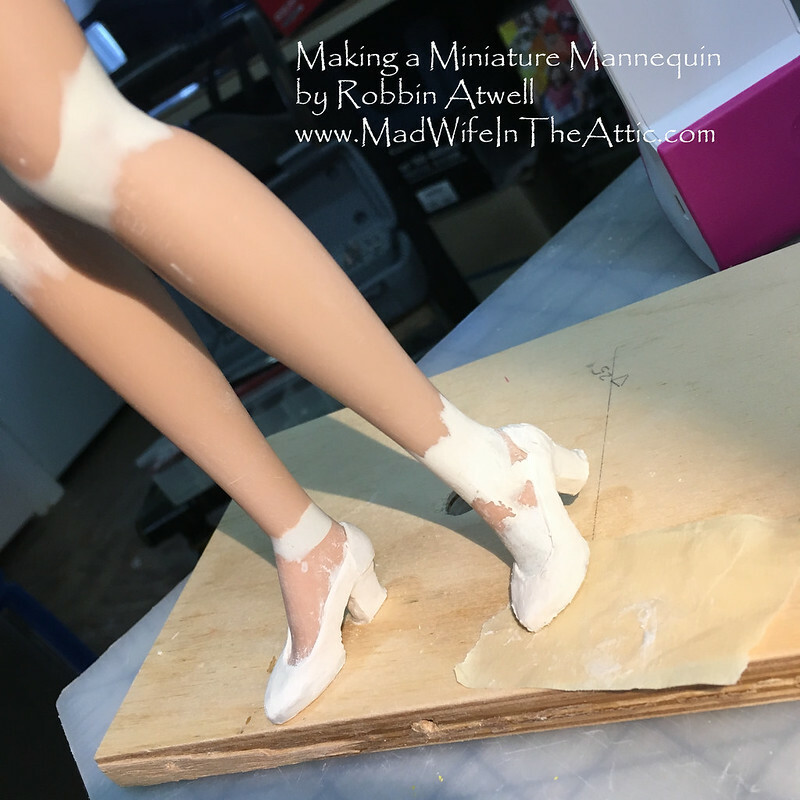 I’ve always liked the proportions of the Tonner Company Antoinette fashion dolls, so she will be my victim. 18 Nov	This entry was published on November 18, 2018 at 12:32 am. 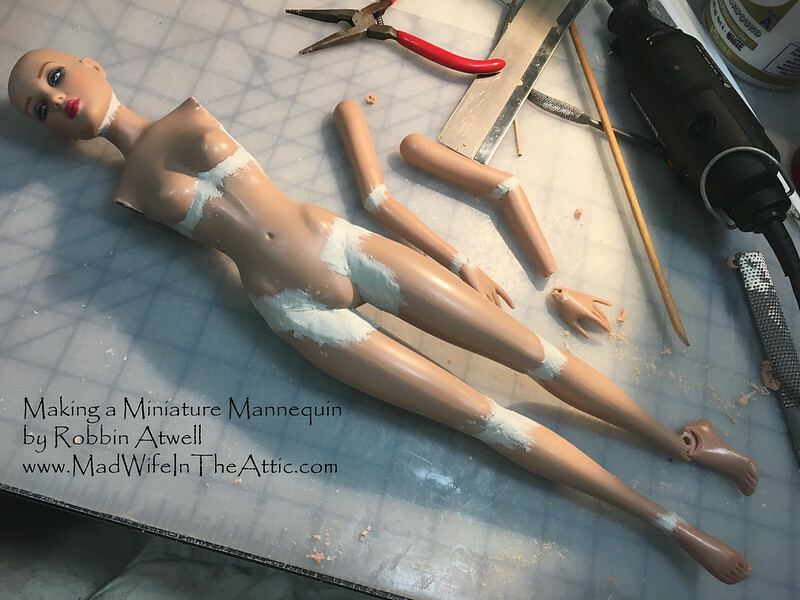 It’s filed under Art Doll, Doll Making, Fashion, Mannequins, Modifications, Sculpture, Uncategorized, Vintage Dolls and tagged Crafts, Dolls, Fashion, How to, Mannequin, Miniature Mannequin, OOAK, Robbin Atwell, Sculpture, Tutorial. Bookmark the permalink. Follow any comments here with the RSS feed for this post. You are amazingly talented. Now I want to seek out and own these mini-manikins. Thanks for sharing your incredible talents with us.